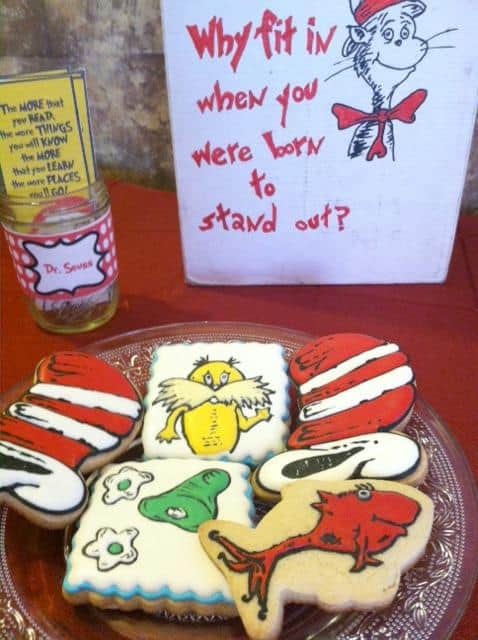 I just love Dr. Seuss! His books, illustrations, and the fun things that have been created under his name. 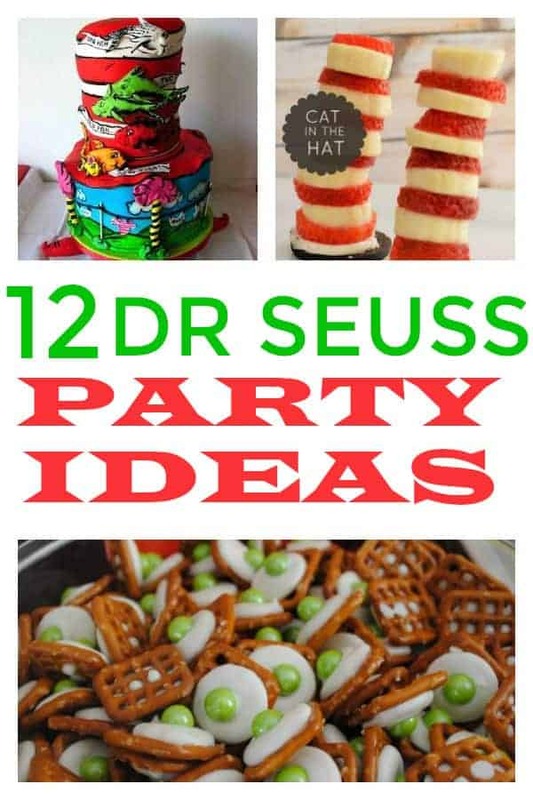 There are so many fun ways to have parties with the Dr. Seuss theme. 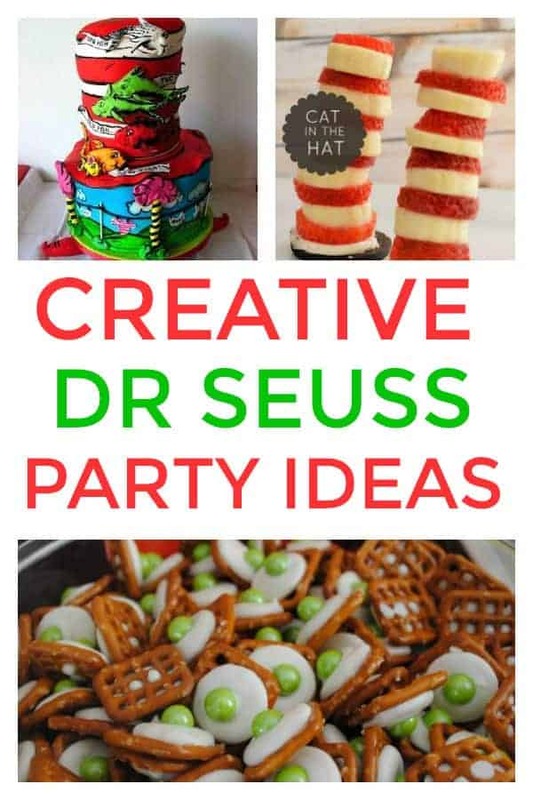 There are baby showers, birthday parties, and school parties to celebrate Dr. Seuss birthday! 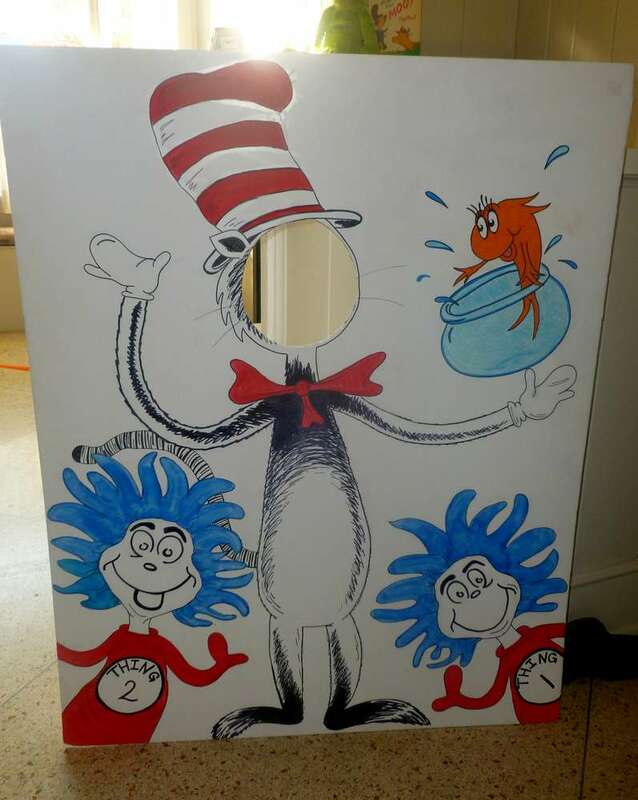 You may even see a party at a local library. 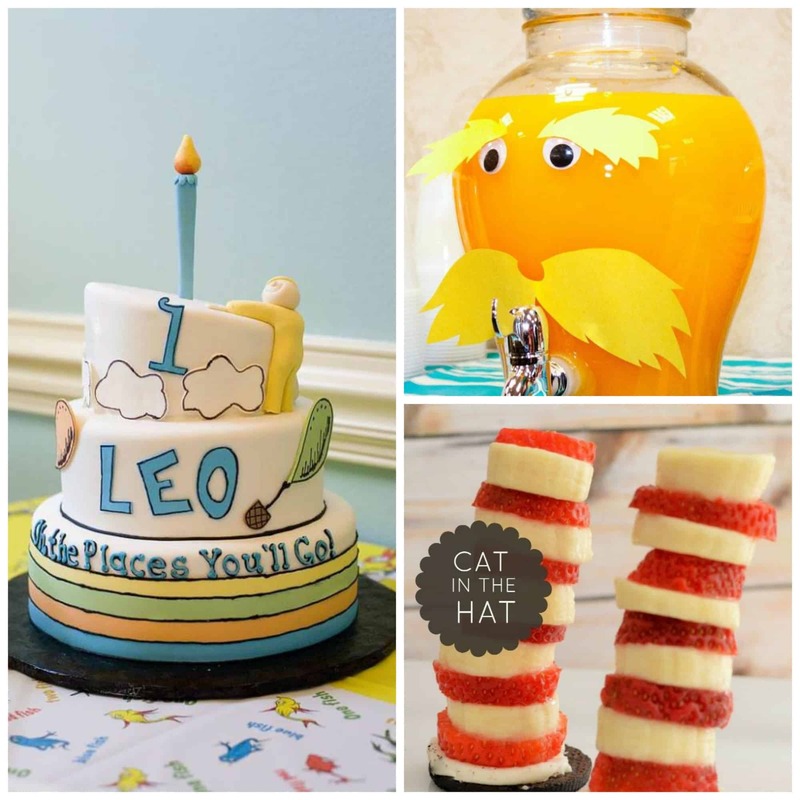 There are so many fun ways to celebrate all things Dr. Seuss and I have found several things on the web for your celebration! 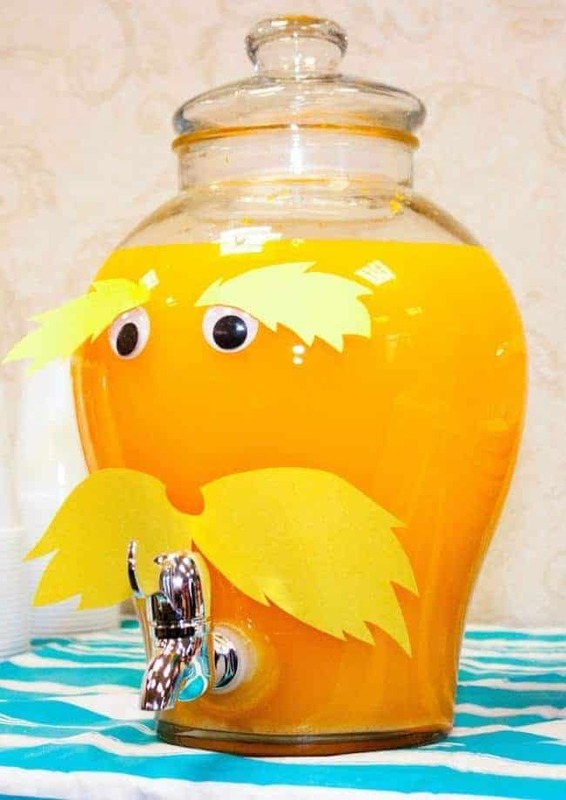 No party is complete without a drink and this punch from The Lorax movie is perfect! I can’t decide what looks better, the punch inside or the container it is in! Love it! These cookies are adorable! I love how festive they look and they look like they taste delicious too! 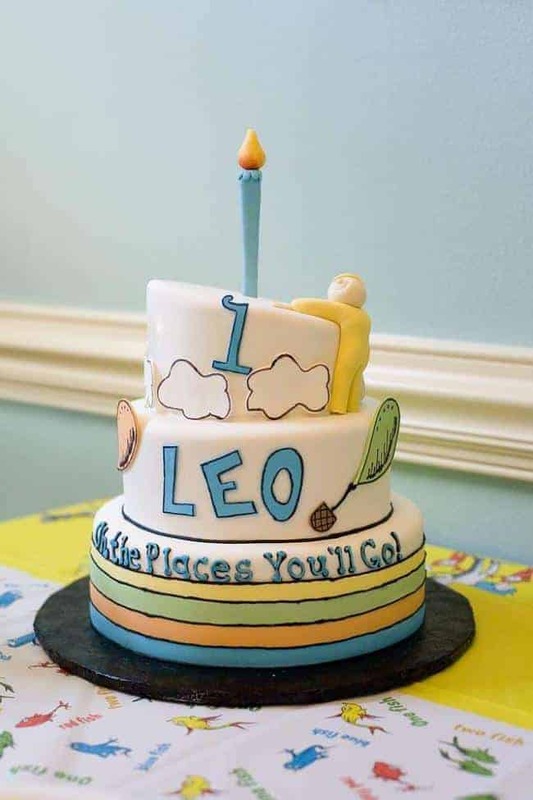 Isn’t this cake adorable? I love how colorful it is, it would be the perfect festive cake for the party! 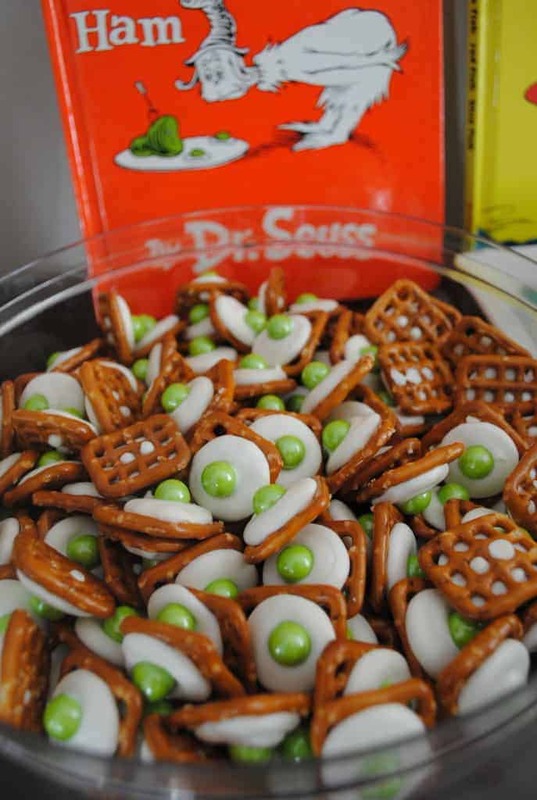 If you want some healthy snacks at your party this would be a perfect one. 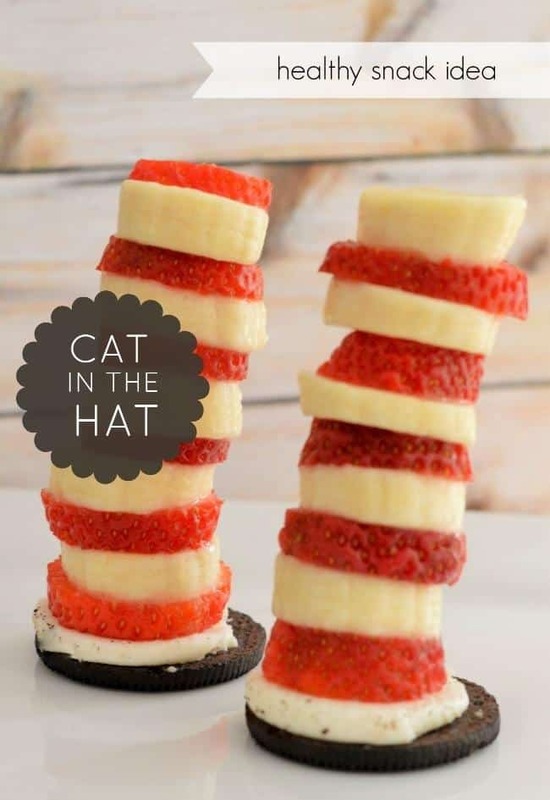 A little fruit on an oreo, Love how it looks like Dr. Seuss’s hat! Wow! I love this cake! 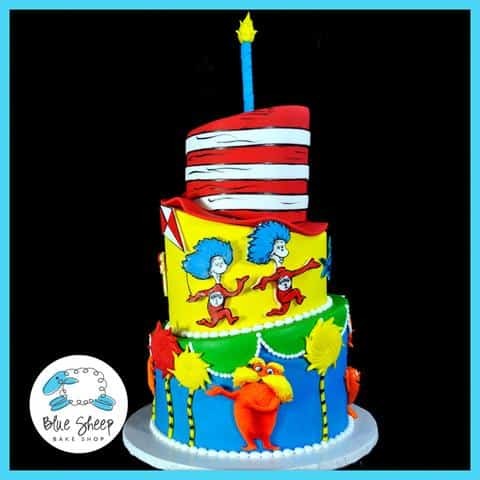 This would be the perfect cake for any Dr. Seuss party or you could use it to narrow down the theme to this particular book! It is gorgeous. Everyone has to have a fun photo opp for the party! The kids will love this, it is perfect for their little faces. I just love printables. 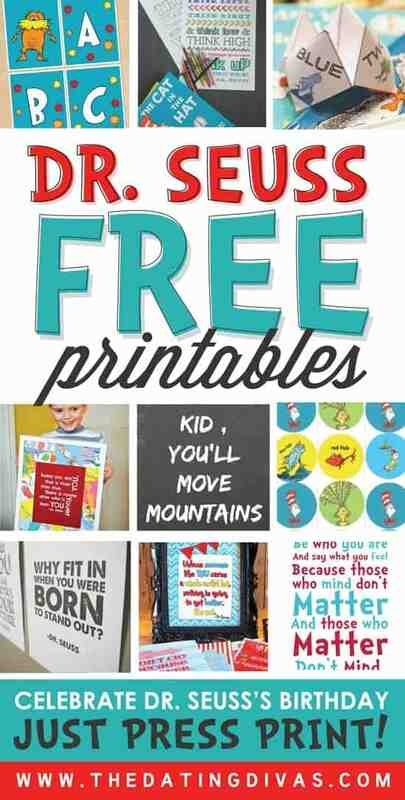 You can use them for decoration in a child’s room, a reading or playroom or print some of these out for your party! Another fun, colorful cake! 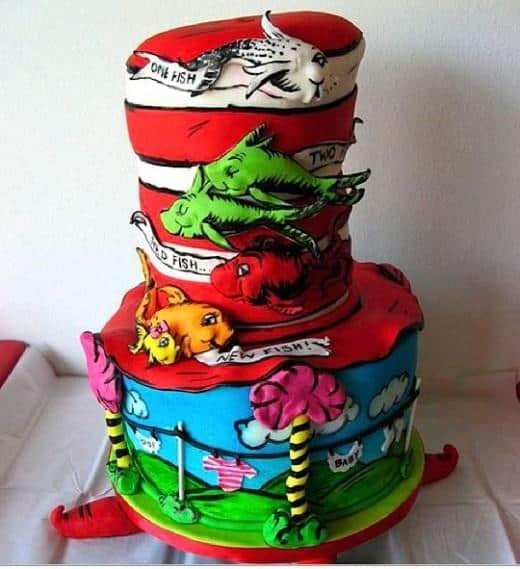 Dr. Seuss’s colors are always so much fun! Most young children love fishes for snacks! I love this idea from the book One Fish, Two Fish…. Here is another treat from the book Green Eggs & Ham! 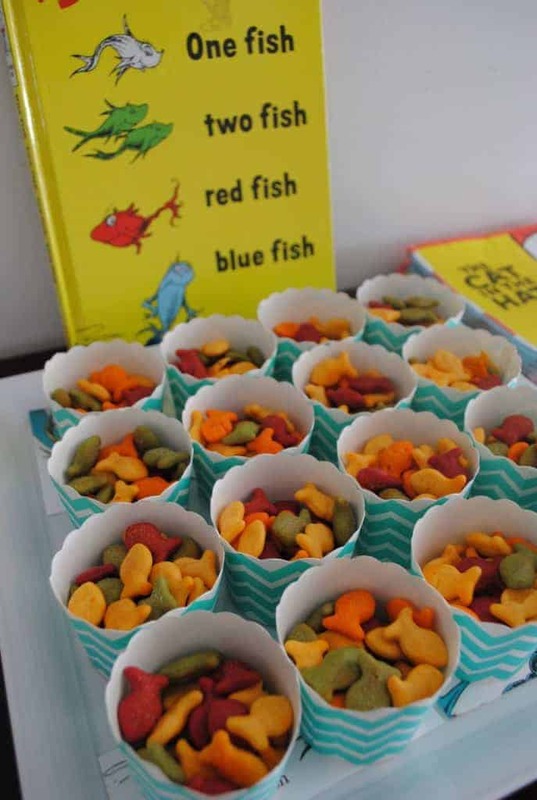 I love how this blogger actually puts the book behind the snacks, the fish idea is hers too! Very creative! 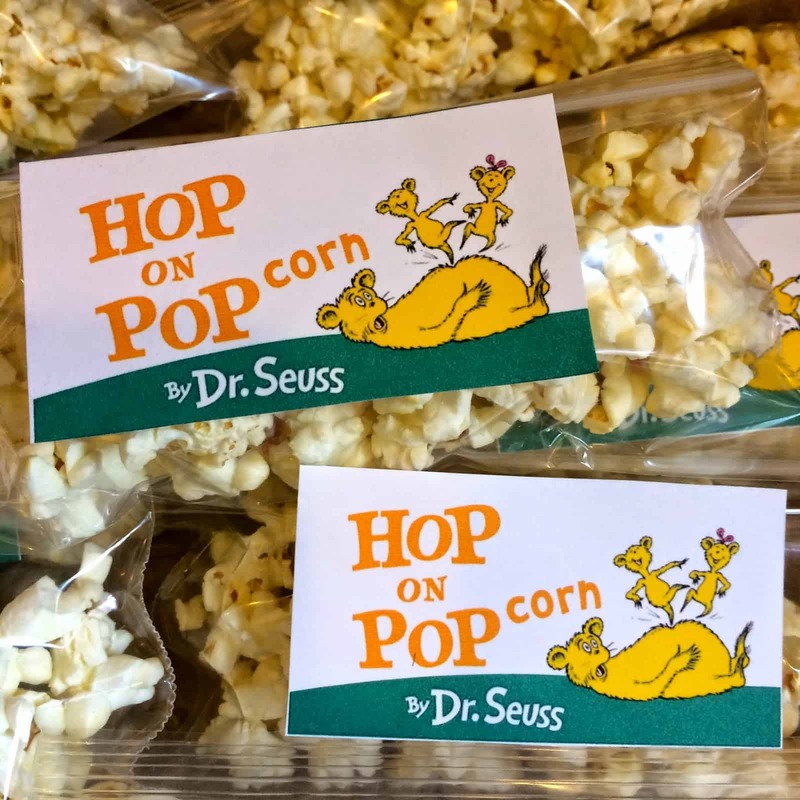 The perfect popcorn treats from Hop on Pop!! Love how they are individually wrapped for all of the guests. 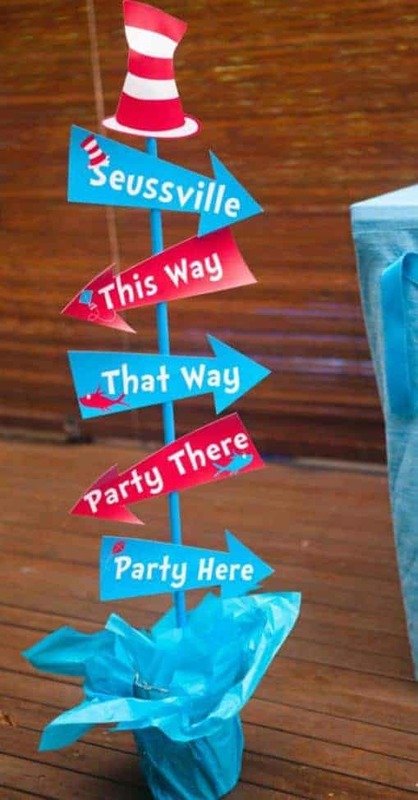 A great sign to let your guests know how to get to the party. It is adorable. 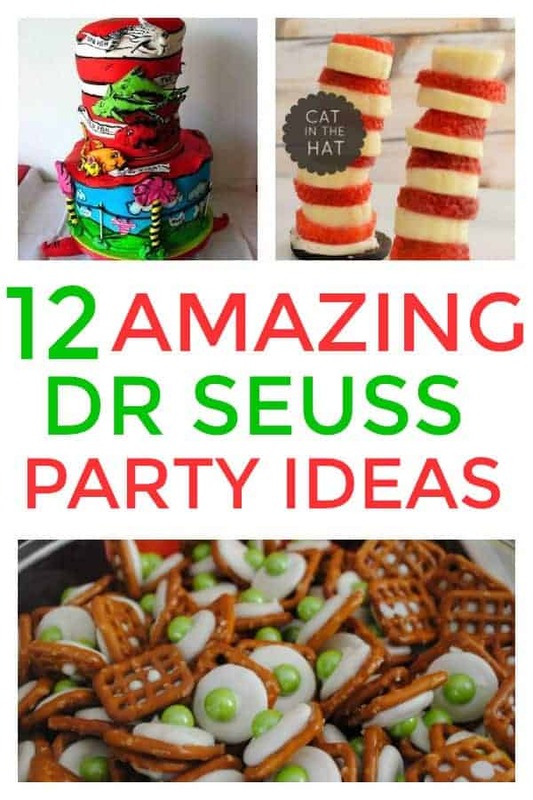 I hope you got a lot of ideas for your Dr. Seuss party. These all would be fun, let me know if you use any of them, I would love to hear how it goes! WANT TO REMEMBER THIS? 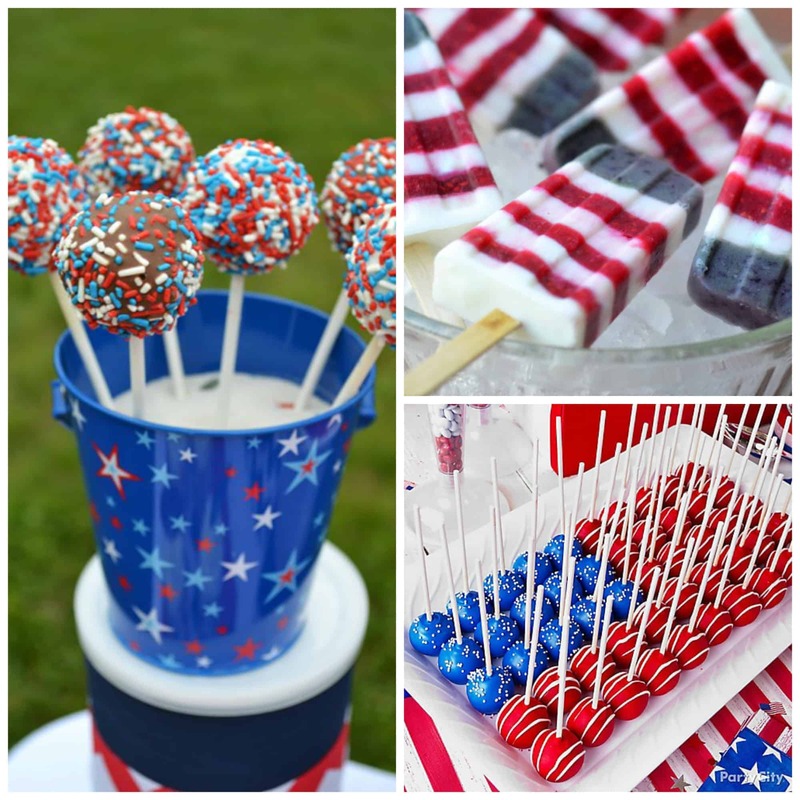 SAVE THIS PARTY IDEA LIST TO YOUR FAVORITE PARTY PINTEREST BOARD!